Harvard Business Review (HBR) has published its annual global ranking of the 100 best-performing CEOs, with Pablo Isla of the Spanish fashion retail giant Inditex topping the list for the second year in a row. Following behind Isla in the #2 and #3 spots are Jensen Huang of NVIDIA and Bernard Arnault of LVMH. They’re joined by newcomers to the top 5 this year, François-Henri Pinault of Kering (#4) and Elmar Degenhart of the German automaker Continental (#5). Salesforce CEO Marc Benioff has climbed to the #6 spot, up from #12 in 2017. The list, which appears in HBR’s November-December issue, is different from other leader rankings in that it measures performance for the entire length of a chief executive’s tenure. “In a business environment that often seems obsessed with today’s stock price and this quarter’s numbers, our ranking takes the long view,” said HBR Editor in Chief Adi Ignatius. 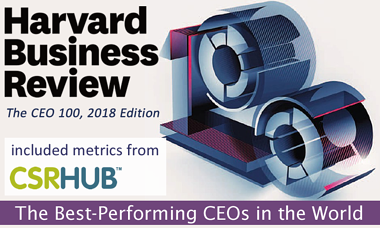 “We are honored to have CSRHub ESG (environment, social, governance) metrics included in the methodology to determine the HBR Ranking of the World’s Best-Performing CEOs for the third year in a row” said Cynthia Figge, CSRHub CEO and Co-founder. See the full report available in Harvard Business Review Magazine, found here. 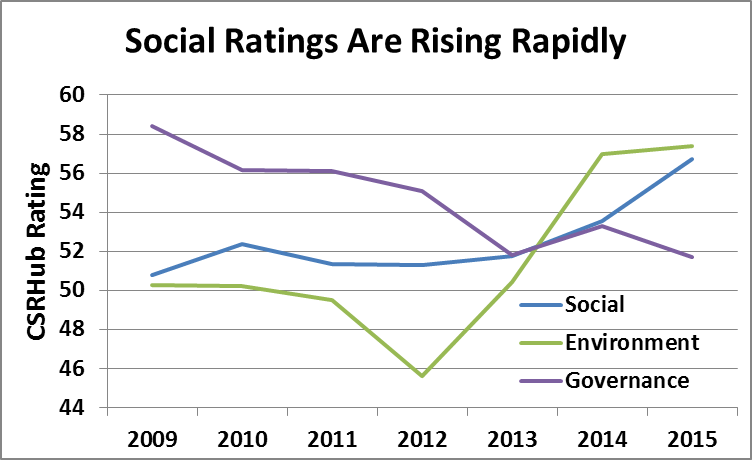 CSRHub is the largest ESG and sustainability rating and information platform globally. 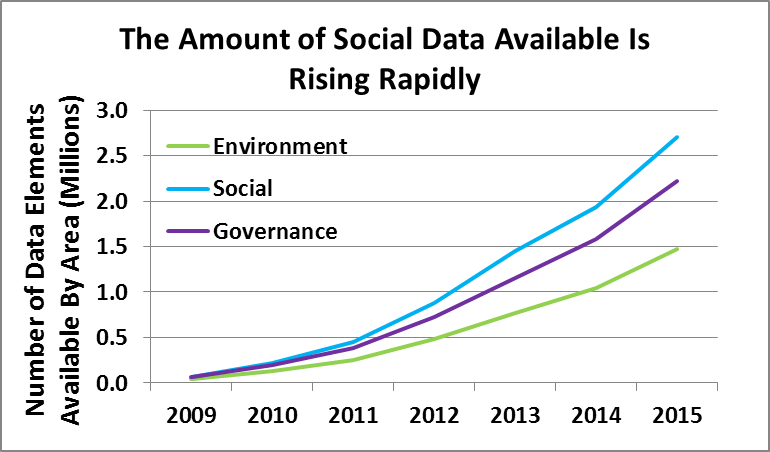 We aggregate 180M data points from 550 data sources including 12 leading ESG analyst databases. Our big data patented algorithm aggregates, normalizes, and weights data to rate 18,000 companies in 132 countries across 136 industries. We track 97% of world market capitalization. We cover 12 subcategories of ratings and rankings across the categories of environment, employees, community and governance. We show underlying data sources that contribute to each subcategory’s ratings. CSRHub metrics are a consensus view (any 2 sources may have about a 30% correlation so we make sense of the disparate data). We tag companies for their involvement in 17 Special Issues. We provide Macro-enabled Excel dashboard templates, customizable dashboards, and an API. Our big data technology enables 85% full coverage of data across our rated companies and robust analyses. 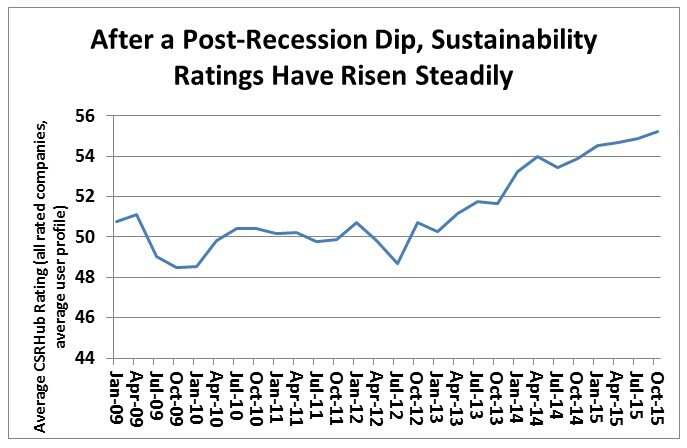 We provide historical ratings back to 2008. CSRHub Co-Founder and COO, Cynthia Figge, will be speaking at Sustainable Brands New Metrics conference, in Boston, Massachusetts, on November 14-16. Cynthia will discuss The Second Generation of ESG Metrics and the Movement to bring “Dark Data” to Light. New Metrics will showcase the macro, corporate and investor landscapes to help business succeed. During the three day conference, new approaches to valuing risk and impact, company goals and KPI’S and new solutions in data management will be among some of the topics discussed. Virtually all members of the Sustainable Brands community are asking what changes they can expect in corporate disclosure of ESG metrics over the next few years, and how they can best prepare to transition toward a disclosure landscape that is less confusing, less scattered and more consistent over time. While the first generation of sustainability metrics has been driven mostly by custom self-reported data, combined with hundreds of surveys and ratings, a new wave of ESG disclosure trends is shaping up that promises to meet the needs of all stakeholders. This talk will outline the most important features of the next generation of ESG metrics and explain how ‘dark data’ may play a role in it. Sustainable Brands is home for the global community of business innovators who are shaping the future of commerce worldwide. Since 2006, their goal has been to inspire, engage and equip today's business and brand leaders to prosper for the near and long term by leading the way to a sustainably abundant future. They do so by offering news and views from thought and practice leaders, live and on-line events, peer-to-peer learning groups, a robust resource library, a solutions provider directory and more -- all designed to help brand, sustainability and design innovation professionals, social entrepreneurs and the eco-system of value network partners who support them, discover, co-create and successfully execute on new opportunities to profitably innovate for sustainability.